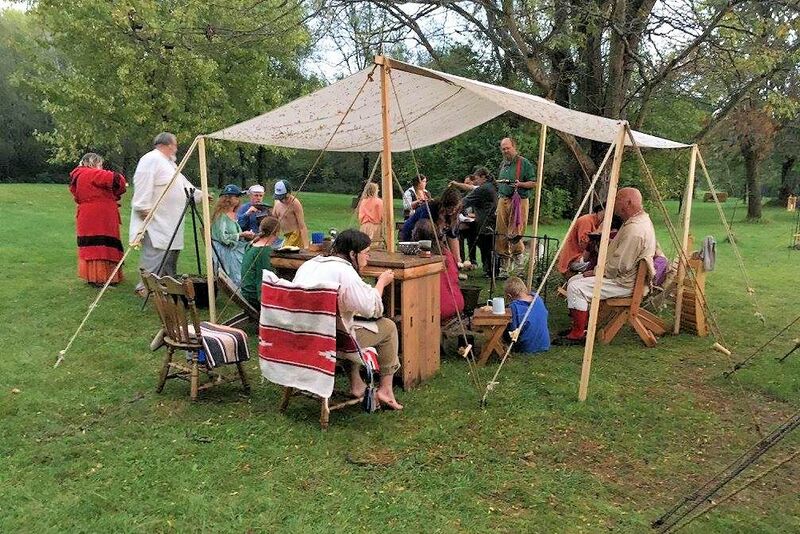 Experience pre-1840s living history at the Bucksnort Longhunters Spring Rendezvous on May 17-19, 2019 at the Bucksnort Longhunters Club Range in Elizabethtown, Kentucky. Enjoy period camping, period dress, muzzleloader only shoots, great food, great memories. Guests encouraged to come camp, shoot, and laugh with us at the Bucksnort Longhunters Spring Rendezvous. Primitive attire required for Shoot, collection of Prize and Camp. Separate prize for winner that is a walk-in. Firewood provided, Ice available, bring your own water. Primitive camping modern camp allowed in separate area no water or electric. The Bucksnort Longhunters Spring Rendezvous is located right off the Blue Grass Pkwy. Take exit 8, the Youngers Creek Rd Exit off the BG Pkwy. Turn right on 583/Youngers Creek Rd. Drive about a 100yrds turn right on Audobon Trace Rd. Follow this rd. for about 1 mile. Turn left onto the gravel rd in the sharp curve. Follow for about 1 mile. You’ll go through the gate, pass the Police training grounds, cross the creek and you there. For those of us that will be coming over the hills and through the woods. From the stop light head towards Bardstown about 1/2 mile. Turn left onto 52/Lyons Station Rd. It’s easy to miss. Don’t blink. 52 will turn into 583/Youngers Creek Rd. DON’T turn at the Church. Stay strait. Turn left onto Audobon Trace Rd. Mark your calendar today so you don’t miss the annual Bucksnort Longhunters Spring Rendezvous in Elizabethtown, Kentucky.